Y & Y Acupuncture and Chiropractic is an integrative medical center located in the Upper East Side of New York City. We take great pride in listening and understanding your health goals. Tailoring a plan from differing perspectives to help you attain your short-term and long-term goals. We want you to enjoy life with your family and friends without limitation. 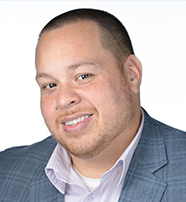 My name is Jose L. Rosario Jr. but friends and family call me Joey. I am owner and founder of SELAH BODYWORKS. This journey I am on, started over 9 years ago. After spending time with my late grandfather, Rev. Luis Rosario and giving him back massages while in hospice, I realized what I wanted to do for a living. Although the massages did not heal him, I know that it did relieve some of his pain at the moment. Unfortunately, my grandfather was not able to see me become a massage therapist but I know he appreciated the time I spent with him. Since then I have been able to create a mobile massage company that currently services 7 different states. We love what we do and we do it with love! 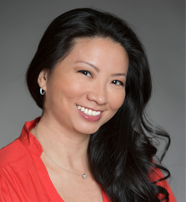 Dr. Mimi Yeung is a doctor of dental surgery and specializes in cosmetic dentistry in the State of New York. Her practice is driven by a unique combination of technical expertise and creative and artistic skills. She has performed countless cosmetic dental procedures, including many challenging dental reconstructions. 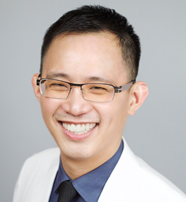 Dr. Yeung is committed to providing the best comprehensive care for all her patients by offering services ranging from cleanings, teeth whitening, restorative fillings, caps or crowns, as well as more intensive treatments such as root canals, full-mouth reconstruction and dental implants. She is dedicated to excellence in her work and to conservative, minimally invasive dentistry.